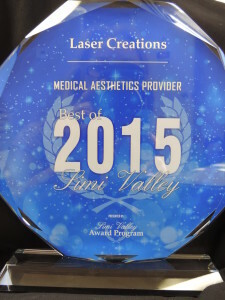 LASER CREATIONS provides services for both MEN AND WOMEN which include Skin Care, Skin Rejuvenation and Hair Removal through non-invasive Laser Techniques. LASER CREATIONS is not a day spa. All procedures are performed in our state-of-the-art medical clinic by highly trained and credentialed medical personnel. LASER CREATIONS also offers its own signature brand of skin care products. These products were specifically designed, and are recommended, for clients use during their course of treatment. In addition, a customized line of LASER CREATIONS Skin Care Products are available for “daily use”. Many of these products can be seen on this website. Thank You for visiting our website. Should you have any questions that our services does not answer, or should you have concerns about a scheduled treatment, feel free to call us. We’ll spend as much time with you as necessary to get your questions answered!